Thank you for supporting the Church of St. Michael with your online contribution. We greatly appreciate the support of parishioners who generously share their time, talent, and treasure to carry out the mission of the Church. Use the links above for online giving via Electronic Funds Transfer (EFT) from your checking or savings account or with a personal credit card. Please note the separate links for Sunday Tithing, Capital Campaign/Building Fund, and Catholic Worker Houses. If this is your first-time giving online, please note the “Create Profile” button once you are on the respective giving pages. Once you have set up your profile, you can see your electronic giving history and manage your giving. Please contact Katie Rolf, Finance Manager at 651-439-4400 if you have questions. It’s easy to “put God first.” EFT is an easy, automatic way to make contributions to your parish family so that, together, we can continue to carry out God’s work in our faith community. 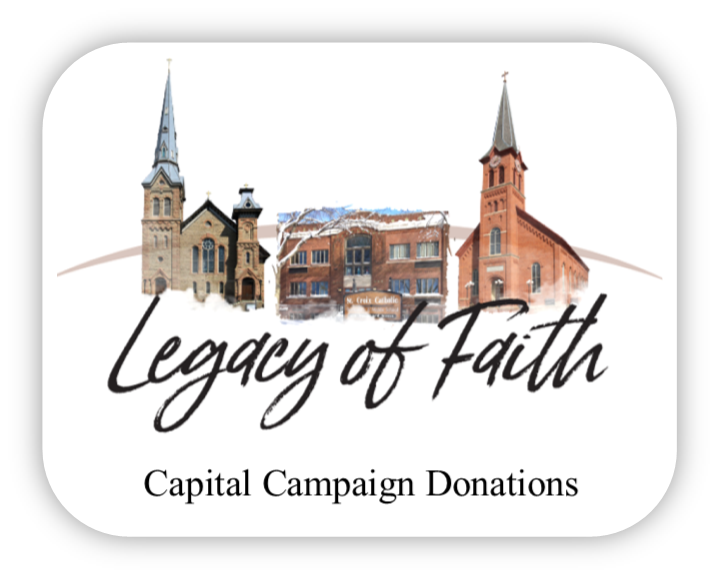 The program is available to all parishioners for your weekly giving and for your pledge payments to St. Michael’s Building Fund and the Catholic Worker Houses. You may also use this method to make one-time gifts; just put the name of the person in whose honor the gift is being made in the box provided and to make payments for special events taking place within the Parish. What are the Benefits of Online Giving and Electronic Funds Transfer? Satisfaction of giving to God first. Streamlined tax statement preparation and reporting. Predictable income flow that allows for better planning. Less volunteer and staff labor required for collection process. While many parishioners have requested this automatic withdrawal option, others may prefer to continue to use the weekly envelopes. Weekly envelopes will remain an option although we ask that, to keep costs low, you notify us if you will not be using envelopes. Planned gifts can benefit your parish while helping you to save on your taxes, increase your income, and pass more on to your heirs. Some gifts allow you to pass more on to your heirs and save on your taxes? Contact your tax advisor or estate planner today to help you determine which plan would best meet your needs and desires. God’s Right Hand Stewardship Fair is held annually in the Fall and is intended to strengthen and reinvigorate volunteering at the Church of St. Michael and help create a stronger faith community. Your pledge of time and talent to our parish family is as important as your financial pledge. Volunteers are an integral part of our worship services, pastoral outreach, youth ministries and faith-building efforts. They help us carry out and live our faith by building up the Body of Christ. We hope more people will come to experience the joy of sharing their time and talents. All that is required is love for God. Join his force. Join God’s right hand.